Oh my, it’s warm out! I think I saw the sun! Are those flowers coming up? Spring is making an appearance, and with spring comes the rain: lots and lots of rain. Garden friends, the soil is rather saturated already. The rivers are running high and the forecast is calling for even more rain. So please, resist the urge to leave your sidewalks and patios to venture into the yard. Even walking about overly wet sod can cause damage. 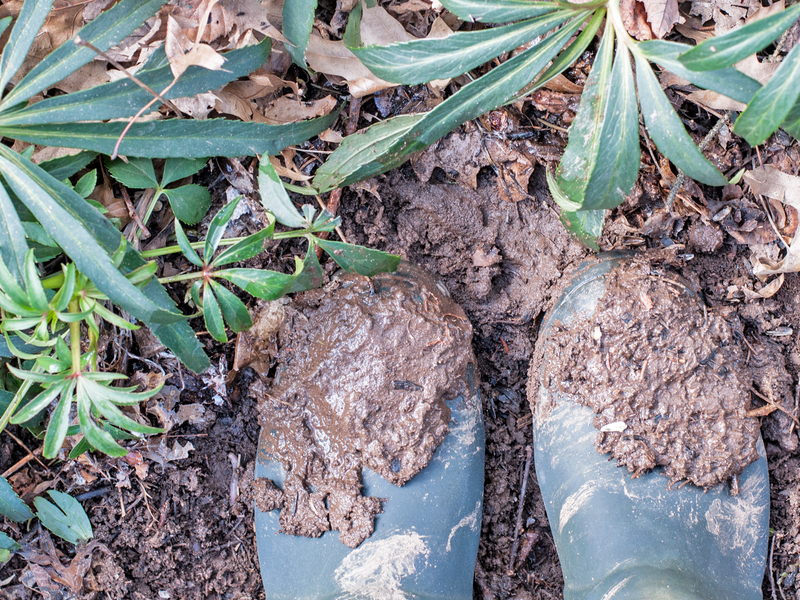 We know the temptation is great to poke about the garden and uncover perennials from their winter bed of leaves to see what’s ready to emerge, but walking about a wet garden will do more harm than good. That carefully prepared soil, rich with amendments that is light and airy will only become compact and rutted. Soon we can go in the garden beds, soon.